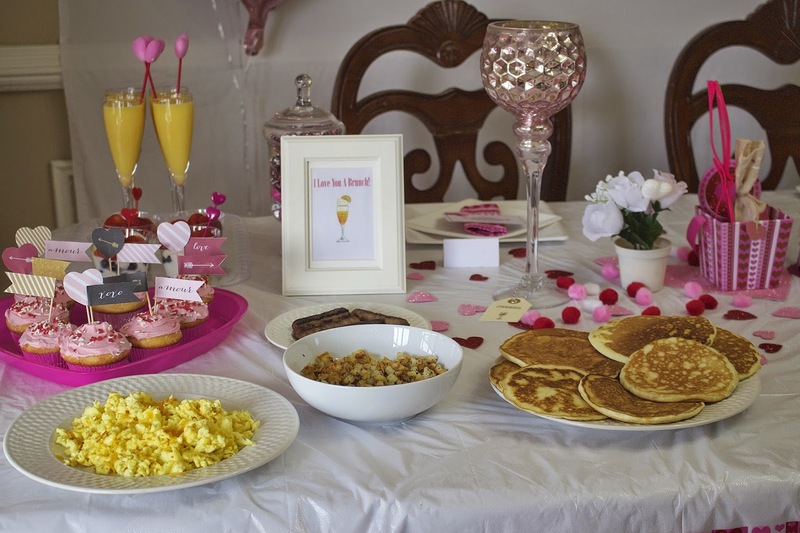 I was inspired by the blog Walk In Love with all the cute decor to create my own girly festive (pajama) brunch. I invited two of my best friends to come to my house and celebrate the day with me. Since our lives are so hectic and we rarely see each other, I wanted this brunch just to be us three. It was so much fun planning and putting every single detail together. I know they felt extra special. 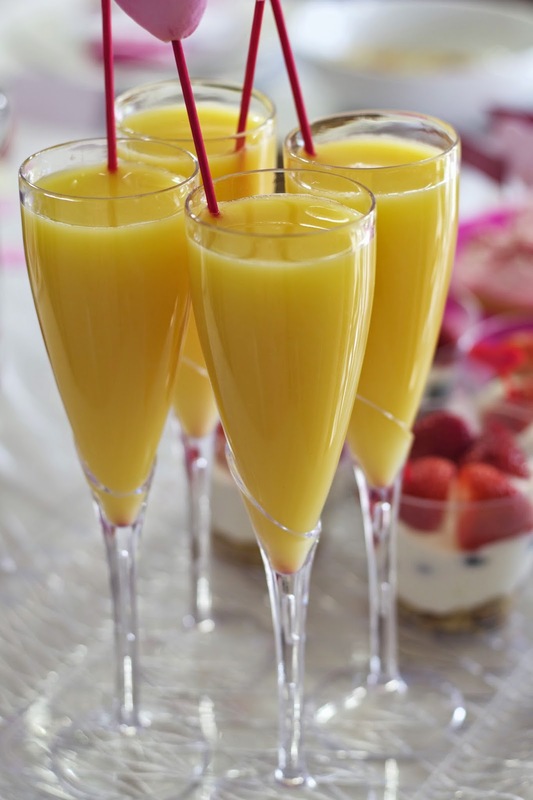 So how do you host your own brunch? 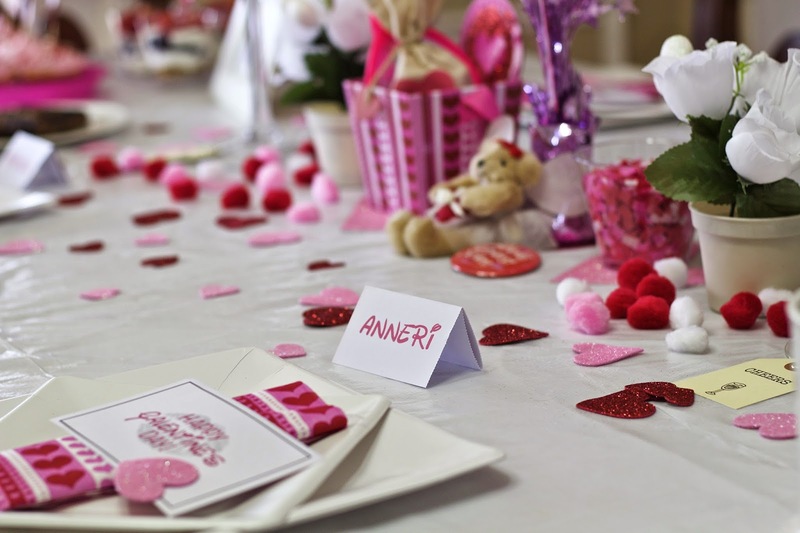 Besides deciding how many of your girlfriends you’ll invite and what you’ll be serving, it’s very simple to plan. Once I had the date set, I sent out an invite to the girls using the app, Red Stamp. You can create an invite for almost anything on this app and then save your invitation and send it out. 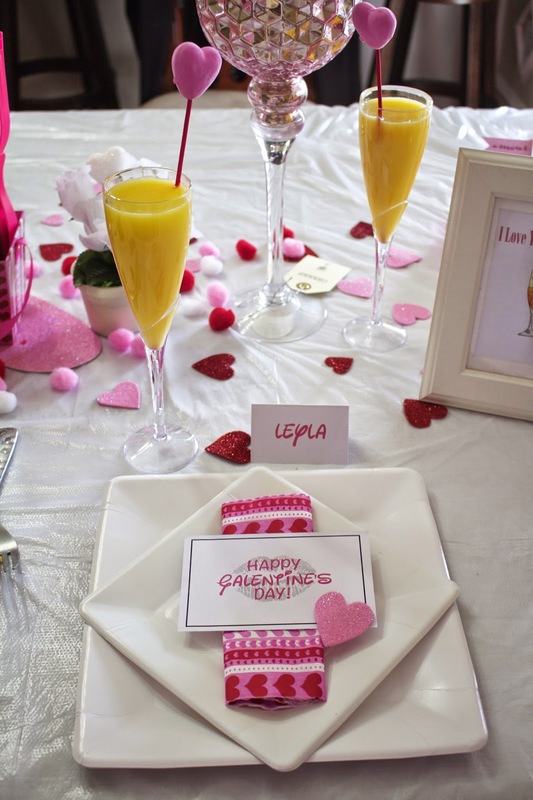 Remember, your decor is everything when planning a Galentine’s brunch. 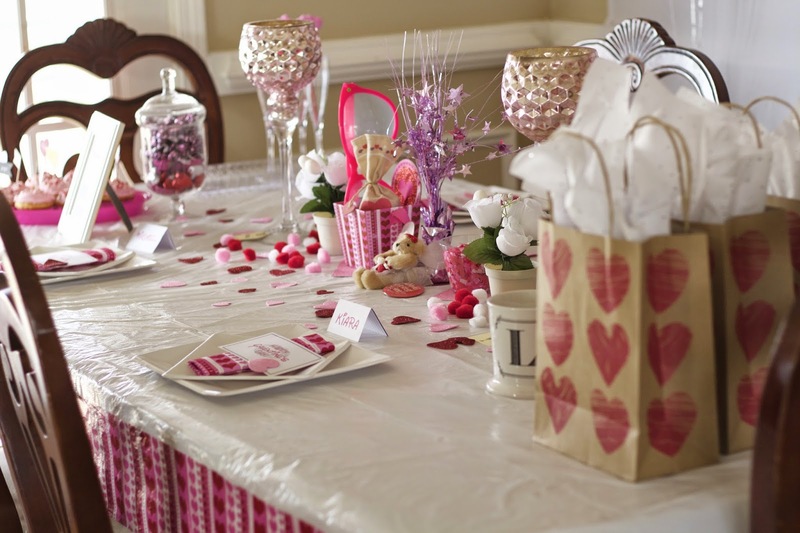 I incorporated a lot of pink of course! I loved the Disney font that was used in Walk In Love so I was inspired to incorporated a lot of that through my theme. 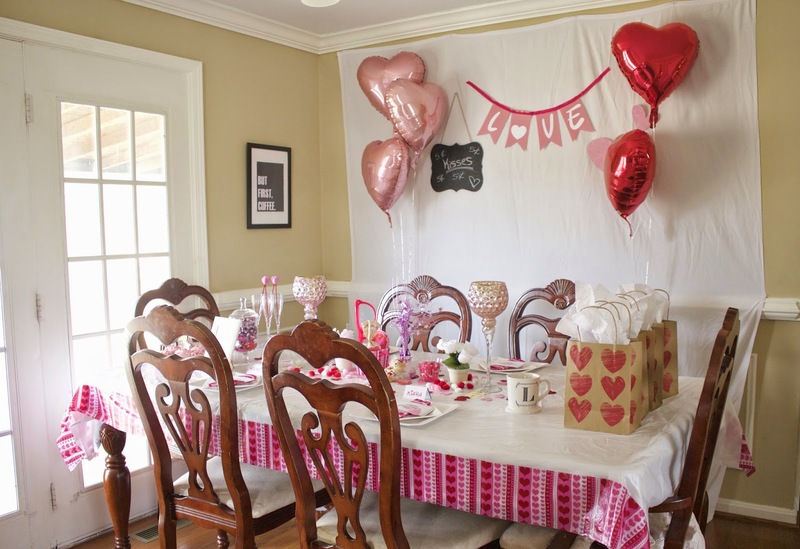 Almost all my decorations were purchased at my local Dollar Tree (even the balloons)! 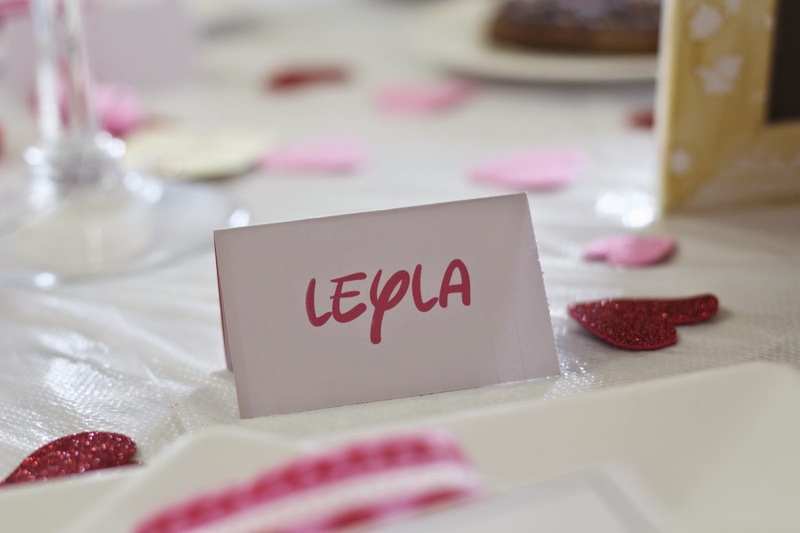 I made the Happy Galentine’s Day Cards to place over the plates & the name tags for all my ladies. 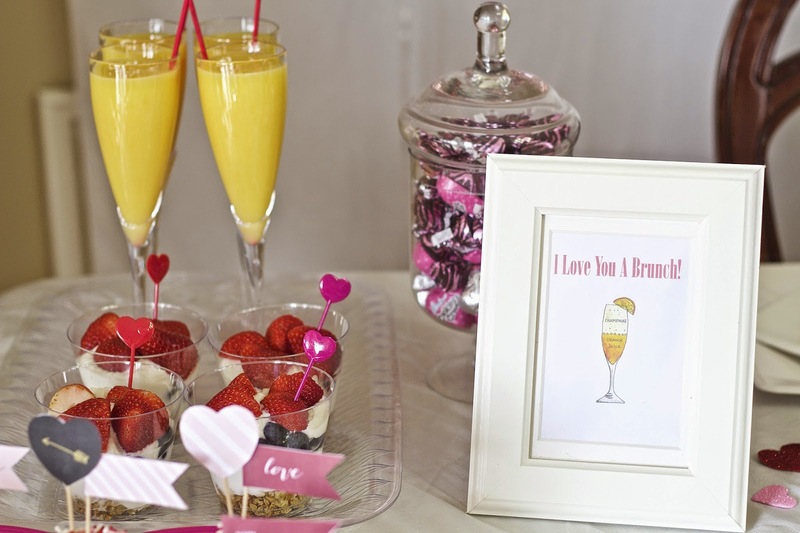 Click here for free printable of the Galentine’s Day Card. 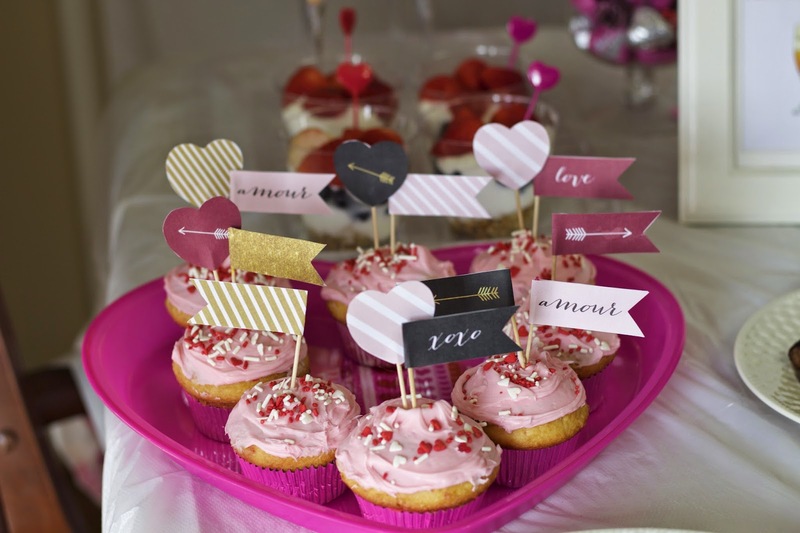 I found these cute cupcake topper flags here <– free printable! 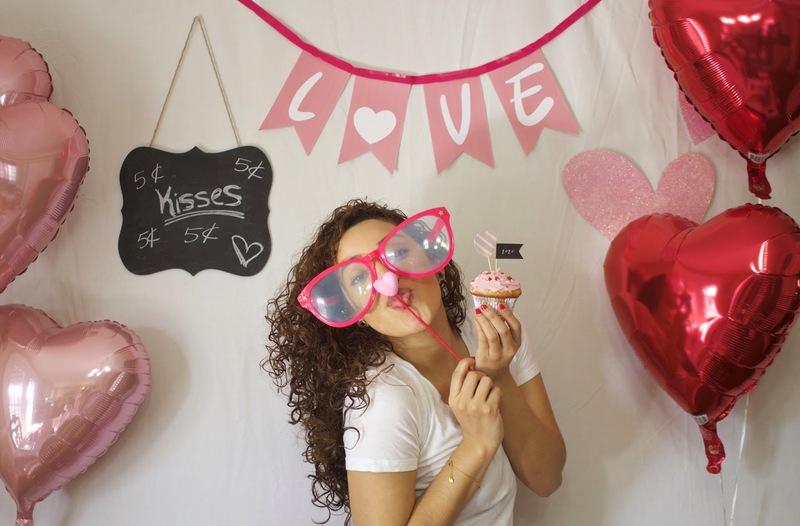 (http://www.eleganceandenchantment.com) UM HELLO….how about this Photo Booth/kissing booth? 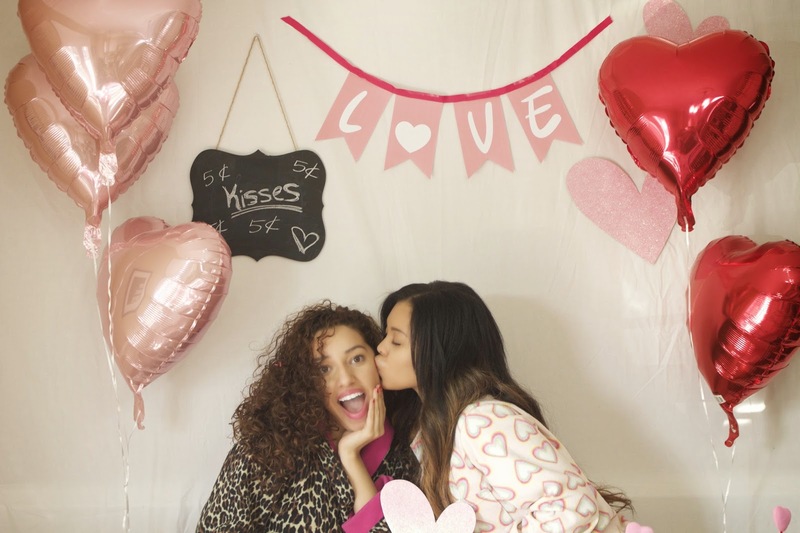 Photo booths are a must at all my parties (a little obsessed)! I took a white sheet, hung it up and used decorations from dollar tree to tape on the sheet. 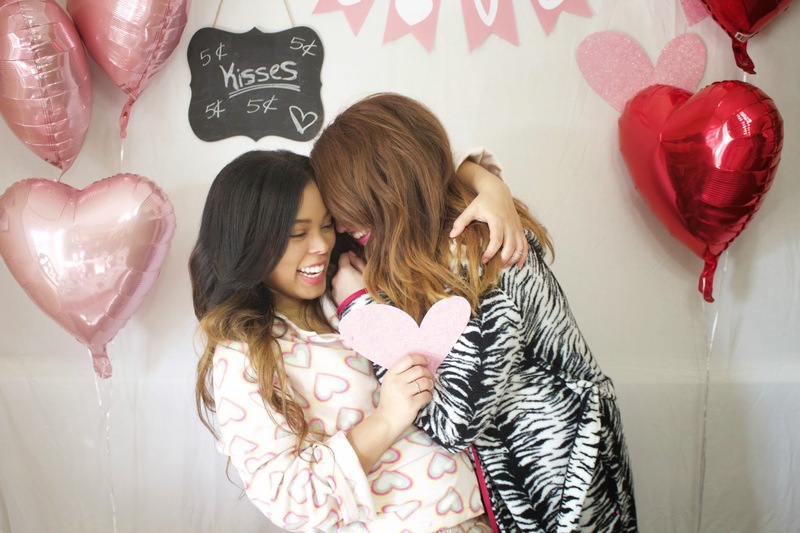 The balloons were a perfect prop for my backdrop, so girly! You can find the Banner here (LO + VE) that I also created. 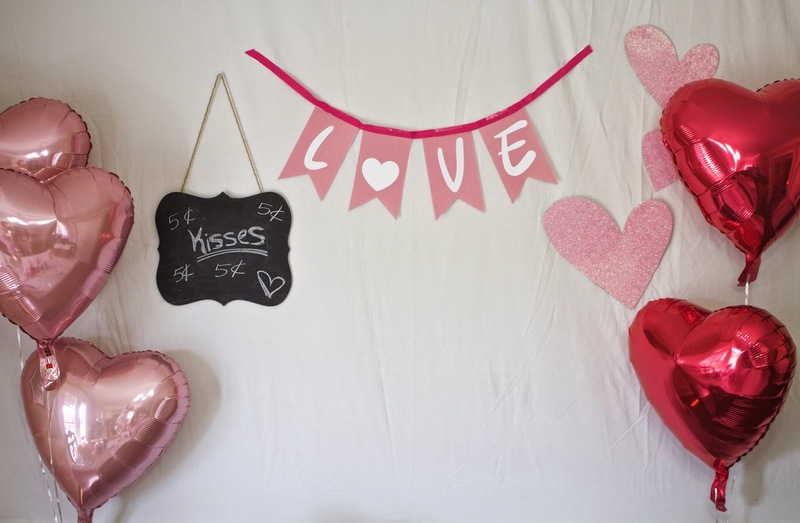 Be sure to print on 8×10 paper…just take a long piece of ribbon and hot glue the printable to create the banner. Chalkboard frame from Marshalls. 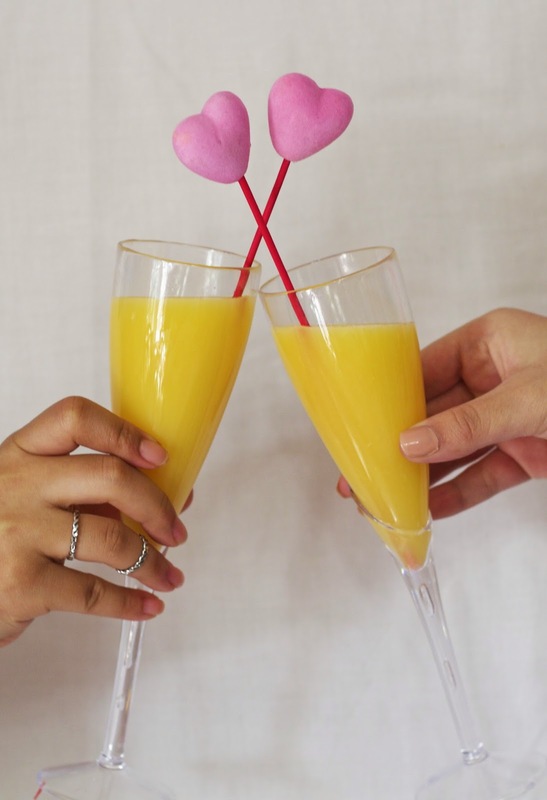 Cheers to everlasting friendship! Have a week full of love and smooches! THE SUNSCREEN YOU SHOULD WEAR DAILY, EVEN UNDER YOUR MAKE UP! This is such a fun post and I love the idea! I don’t think I’ve done anything like this before, but I should really give it a go. All of the girly touches look perfect! Thank you Jackie! Yes, definitely give it a try, it’s a lot of fun! Did you do any activities? I am planing one and I am struggling to find activities. Hi Hannah, Pinterest has a lot of printables for games! Target has some little games like word scramble and scratch offs. I also do a valentine exchange with my friends and we get each other little things like lotion, bath bombs, lotto tickets. This year I’m also going to do a hand pampering station.